Major Nelson, updating us on a periodic Xbox Live purge—banhammering cheaters, pirates and other folks of ill-repute, though not 12-year-olds—reminds us of Microsoft’s official policy that if you buy a used Xbox 360 that’s been banned, you’re screwed. 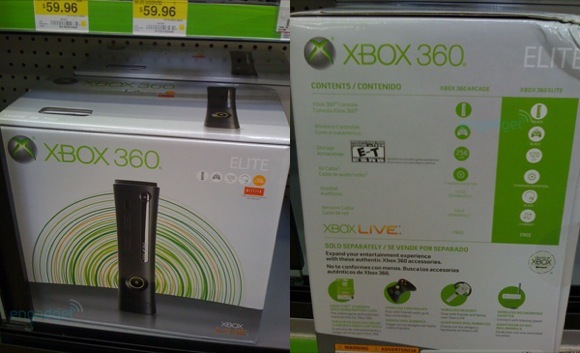 The crux of the matter is that the warranty on an Xbox 360 “is not transferable,” so if you buy a used console “that has been previously banned, you will not be able to connect to Xbox LIVE.” So if you buy a used Xbox 360, make sure it’s from a less-than-shady party—and if you buy from a used games shop, make ’em connect it to Xbox Live so you know you’re getting something that works. Look at this! Geoff and Gus made a walkthrough showing you the new Halo Waypoint, and Waypoint doesn’t even come out till November 5th! Its like they invented a time machine. Be afraid! 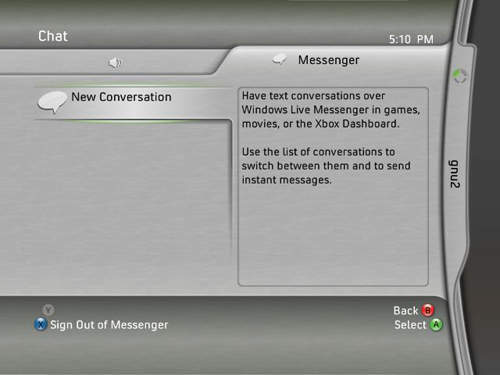 I am experiencing an issue with my MSN Messenger (Windows Live Messenger) not connecting when i connect with my Xbox Live ID on my 360. I am able to login with my MSN Messenger on my computer in the same LAN, and i was able to connect to my MSN Messenger on my Xbox 360 XNE just 48 hours ago, but starting yesterday, every time i login, my auto MSN Messenger [as well as manually] login i got the message “can’t connect to messenger”. I have a Xbox Live Service Request # 110-696-0357 (and now a second # 110-700-3596), but i thought i would post here and see if anyone else is experiencing the same issue. Additionally, i was not experiencing this problem jut two day ago on my 360. I did not make any modifications to my Windows Live ID account (Windows Live Messenger or Xbox 360) such as password change or anything. Additionally, when contacting Xbox Live support, i have been hang-up on, given the runaround by support agents that does not know what they are really doing and even been hung up when asked to be transferred to their supervisors. As most of you Microsoft/Xbox users know, this is very a-typical of Xbox customer behavior and it is simply, in my opinion it is offensive, appalling and intolerable. I am dismayed that this kind of ongoing customer service behavior is still common practice at Xbox Hardware/Live support and most of all i am alarmed at the little interest support personnel actually devotes to do what they are actually supposed to be doing. Helping, assisting, improve & encourage customers and in turn push brand loyalty. None of these things are happening, when all they do is read from a script on their monitors and on the most timely, rapid fashion move on to the next, like an assembly-line. I know this, because i felt this. Still my issue goes not resolved. With a promised of a higher-end technician to contact me on my home phone given to me today, i will not be sitting by the phone. As previous experiences have tough me, just like a 3 year old little girl waiting for her boyfriend to call which will never will but endlessly holds on to hope; but he never does. (just as with that, it will never happens [sad face for us both]). Still no one really cares. Not Microsoft, not Xbox… They certainly don’t care about their customers who spend Billions on their products, even the ones still under warranty. Maybe i will sit by the little girl waiting by the phone… I know that at this moment, i have more in common with her then any other; waiting for a call that will never come. Holding on to hope, where there is none! Reference to this post to contact Microsoft directly. 2009-09-14 (17:15 hours) – XBOX Live Service Center is of no help. They ave given me additional run around and promised me that a higher tier tech agent would contact me withing the next 48 hours at my home telephone number (which i then provided). Additionally, i was instructed to email (contact) the Windows Live Messenger support team directly, for they might have better luck at troubleshooting the issue then the XBOX Live Service Center. Which by this time is unable to assist me any further. Please note that this is a supervisor that i am speaking to at the time. I send out an email to the WLM support team (which is not easy to find any more btw), only to get an automated reply. Got that fix and got an actual response by the evening hours of 09/14, only to have them direct me back to Xbox live Service Center. I kindly replied to the email and asked for someone, somewhere to take ownership of the issue, for the people at Xbox Support will only re-direct me back to them. I also CC’s “Steve Ballmer, CEO” & “Bill Gates” on that email as well as another contact i have at Microsoft which i dealt in the past with somewhat related issues. Maybe that will get the support representative’s attention. I did however email my issue to all 3 individuals earlier today, following it up with a phone call to each office and posted my blog post and reference URL on a bunch on gaming sites. Now all i have to do is wait. I know that Mr. Ballmer is traveling and not in his office and Mr. Gates is at a conference. So a 24 hour response window is much better then never getting a reply from Xbox Support at all. 2009-7-30 (13:30 hours) – So Derrick from Xbox Corporate Xbox Escalation Team returned my call today (i had left him a voice mail the the night before around 20:03 hours, just 3 min after his shift ended. We did make allot of progress in the 3 previous phone calls that we had the the previous week in regards to my issue, all of which left me mad, and ill-content. THE BOTTOM LINE; as we stands right now, i had to create an second Game Tag (in my case i simply used one of the old ones i created for a similar issue i had nearly 2 years ago. On his suggestion (which i heavily opposed, knowing the outcome would be this), i changed to Windows Live ID associated with my primary Xbox 360 hardware. The purpose of this was to see if Windows Live Messenger would work after the change (but the catch is that i would have to wait a month (yes, 30 days to be able to change it back), of course it did! The next step was to associate the original Window Live Messenger ID (the one that i am having issues with), with that second Xbox Live Game Tag which i just created (in this case which i already had. So i did, and it did not work. Conforming what i already knew and had informed Derrick, that the issue was with my Windows Live Messenger account. So he forwarded the issue on the the WLM programming team and we are waiting for a response as to what is the maxim number of contact that you can have as ‘friends’ on contacts on your buddy list. As i tried to explain to the teck, the i did come across the same issue in the past, (it’s the same issue as i had before) the Xbox 360 is not able to handle the seer number of contacts in my WLM contact list. Apparently, this all happened when Windows Live Spaces imported all of my Facebook contacts on to WLM network and Messenger basically adding about 1,000 or so new contacts to my WLM. Now know this, i already have nearly 1,700 WLM contact on my WLM to begin with. Since it’s used for family, friends, blogging AND work. But he seems to be very impatient when speaking with me and always in a hurry. I guess i would be too when talking with someone that know more about my job and about what is going on then i do too. I know the steps that needs to be taken to correct this; it’s the same steps that were taken the last time this issue occurred with me. WLM for the Xbox 360 needs to raise it’s capacity. Specially now that Windows Live Spaces gives it’s users the ability to connect and/or import Facebook, Myspace, Hi5, LinkedIN, Tagged & Windows Live. NOW; i just got several emails from readers of the site, and calls from friends of mine who are now experiencing the same exact issue that i am. I explained this to Derrick today, also the fact the the front end support team at 800-XBOX is not equipped to provide adequate support to this issue. And since Windows spaces is now providing it’s users the ability literal import their entire contact list onto their network/WLM, any Xbox 360 user will now face the same issue. So this really need to be re-prioritized before they are inundated with calls and be acting instead of reacting. But my pleas as always falls on the ears of those that who really don’t care. 2009-08-03 (03:00) – Still waiting for a reply from Microsoft. Did email Microsoft Headwaters again on the issue hoping it might expedited the WLM team a little but that was Friday. I might hear something back early next week. 2009-11-14 (02:25) – I finally got a responce from Microsoft a while back, and basically was told that there is nothing they could do. 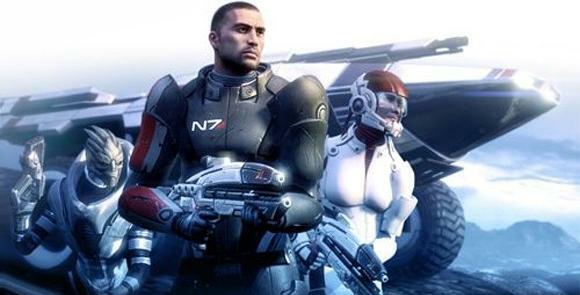 After working back and forth with the programming team with the Windows Live Messenger, Xbox 360 Live and the programmers in between there is nothing no one could do. They refused to exchange the hardware to try to see if that would fix the issue so after all this time I can’t login to my WLM account using my Xbox 360 Live account. Additionally I did find out that the WLM on the Xbox 360 can only handle 1000 contacts as per the programming team specifications on the Xbox. However, the total number of contacts on my contact list was well bellow that. They were unable to explain why i was/am unable to login to my WLM account thru my Xbox 360 Live… So I was told “Sorry, there is nothing we can do. This functionality is not functional for your system!” #&*#E*& Microsoft! Just to keep you posted my TMP case ID for this is “11-07-11-71-55” – sorry i can not give you direct contact info as to the particular contact info on my articular case. And PSS, i am still unable to logon to my original Windows Live ID (MSN Messenger) using my Xbox 360 Game Tag (the alternative one).